Here implementation of cie1931 is an anylitic approximation from Wyman et al. const float a = 0.18; // constant from Reinhard's paper. After that I still get RGB values outside of [0..1]. What am I doing wrong? It seems that "max" luminance should depend on chromaticities of the color. Is there an algorithm to account for that? 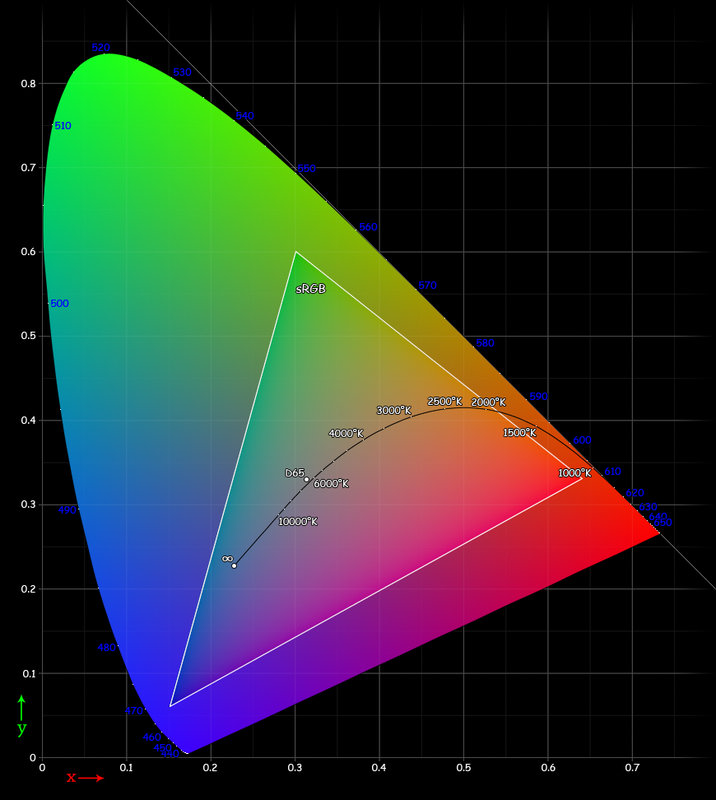 Getting sRGB values outside [0, 1] is expected and normal when using spectral rendering. You can of course simply clamp the sRGB values, but this may change the hue and/or the luminance of the color in the process. Alternatively, rather than clamping (which throws away any detail in the saturation outside the sRGB gamut), you could try doing a linear or non-linear remapping of saturation values in the image, similar to how you do for luminance. By "saturation" here I mean distance from the white point. The idea would be to squish the whole image toward the white point so as to bring everything within the gamut. But that may affect the apparent saturation of in-gamut colors in visually undesirable ways. Not the answer you're looking for? Browse other questions tagged color spectral or ask your own question.